7 Tips for Pulling Off the Ultimate Eco-friendly Wedding Day! Marriage is automatically beautiful and sacred. So, when two people make the decision to throw an eco-friendly wedding (and reception), pardon the wedding day pun, but it’s kind of like the icing on the cake. While they are making plans to formally profess their love and devotion to one another, in a way they are choosing to do the same thing to the planet. We can’t help but to totally be in love with the thought of that! 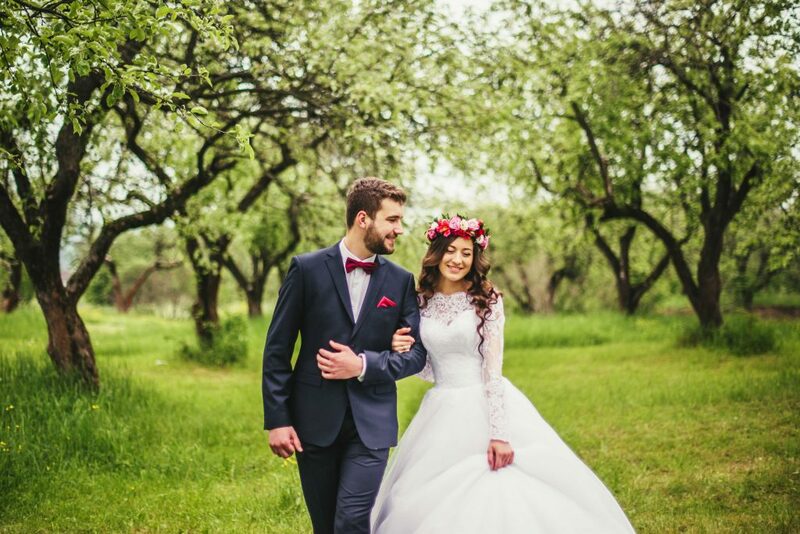 If you’ve been seriously considering having an eco-friendly wedding day and you need a few tips on how to make that happen, here are seven of our favorite tips. Paper plays a big role in the waste that we see around us. One way to minimize it as it relates to your wedding is to send out your invites via a wedding invitation app. 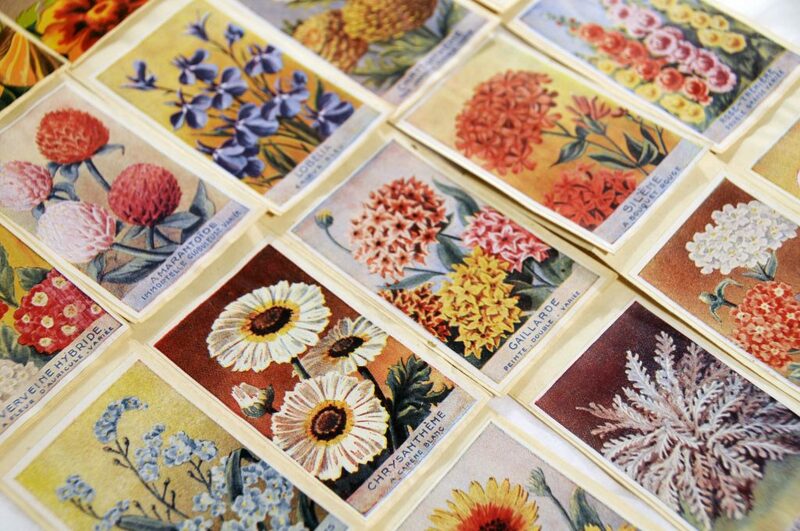 Another way to do it is to send out invites on seed paper. That way, you’ll get the formal feel of mailing invitations and your guests will literally be able to plant the paper once your wedding day is over. Have you always dreamed of having a wedding day surrounded by plants, flowers and butterflies? You can do just that if you book a reservation at a nature preserve. Or, if you have a favorite park in mind, while you’ll need a permit, your local parks and reservations department should be able to help you with that. You can easily spend a couple grand on wedding decorations. Why do that for only one day? Instead, rent as many as you can and DIY anything that you want to be customized. Another benefit of going the rental route? You can return everything after you’re done. That way, you won’t have a ton of “stuff” that you can’t use laying around. 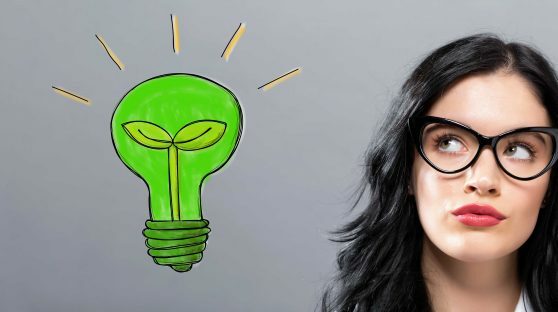 Anyone who’s big on “going green” will tell you that one of the foundational ways to do that is to support your local businesses and vendors; especially the ones who are also very eco-friendly. Get fruit for your cocktail hour at a Farmer’s Market. Ask family and friends for “gift favors” in their areas of expertise. Buy alcohol in bulk from a company that sells organic wine. You get the gist. Being eco-friendly doesn’t mean that you have to forego being uber-sentimental. An eco-friendly wedding idea that we absolutely adore is couples who use heirloom wedding rings for their wedding. It’s one of the best ways possible to “recycle” and “repurpose” something. If you don’t want to wear family jewelry, but you do like the overall theme of this idea, another option is to nix going to a local jeweler and opt to find some vintage rings instead. 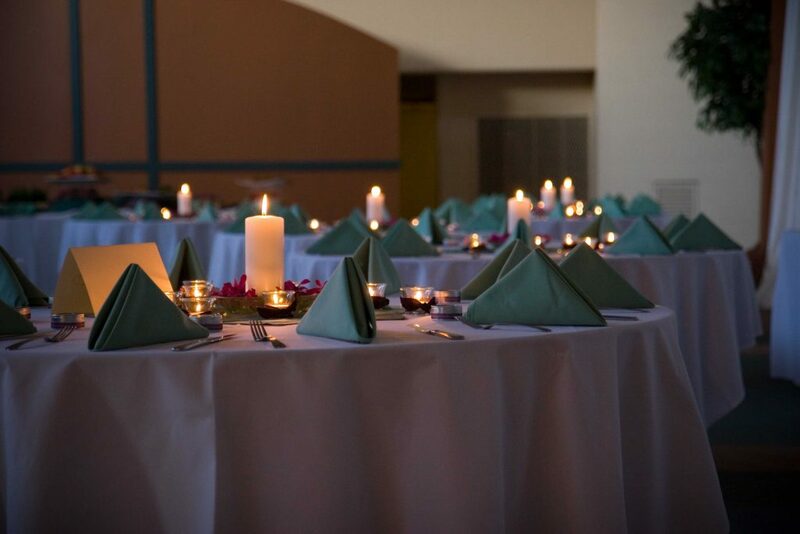 A beautifully romantic way to keep the electricity bill down is to have a candlelit wedding reception. Just think how wonderful the room will look and feel if it is lit up with nothing other than scented candles everywhere. Just make sure that the candles are made from soy. The burn and last longer and are better for the environment. While we’re all for culminating your wedding and reception with party favors for your guests, try and avoid giving them something that they’ll probably “ooo” and “ahh” at for a couple of minutes and then toss in the trash. Do your budget, their trash can and the environment a favor by giving them a miniature plant, seeds to plant trees in their own yards or homemade treats that they can eat. It’s the perfect touch to end such a special eco-friendly kind of day!